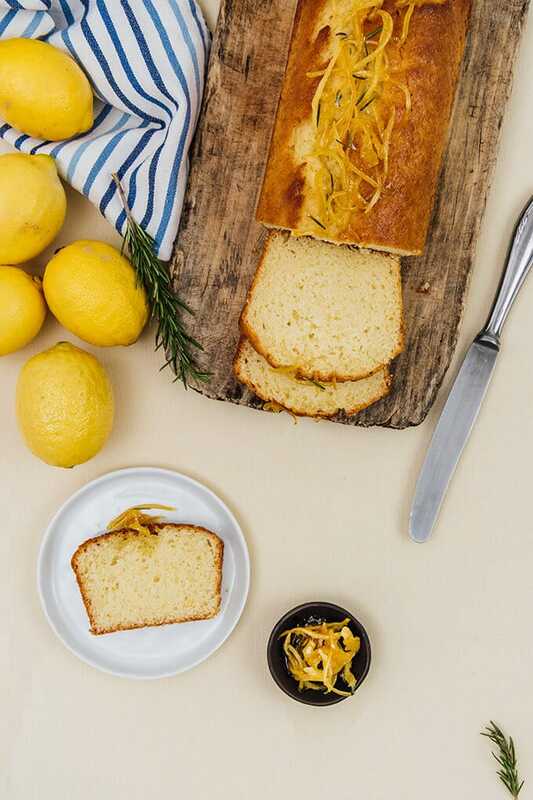 If you love lemon, you need to bake this Kefir Lemon Bread, which is bursting with lemon flavor. Kefir makes it light and wonderfully moist. A quick lemon jam for the topping is a bonus. 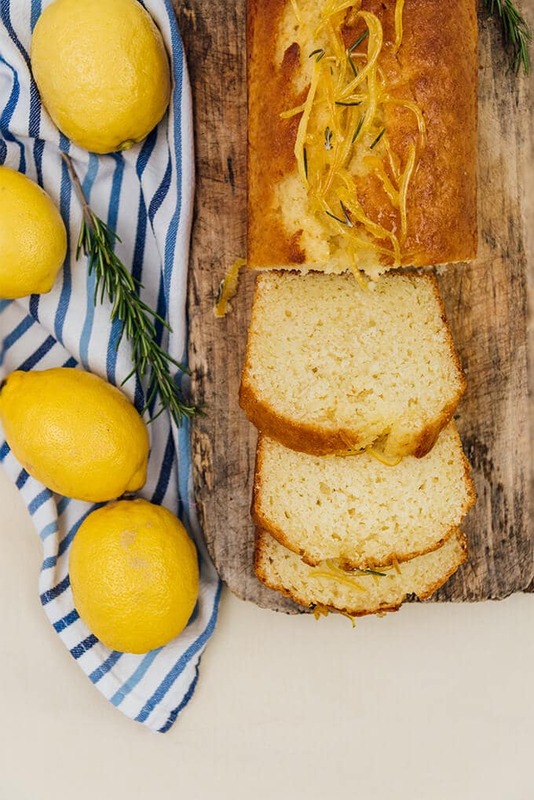 This bread is perfect for lemon lovers! This Kefir Lemon Bread post was originally published in 2010 and we are updating it today with new pictures and additional information. Lemon is one of my favorite foods. 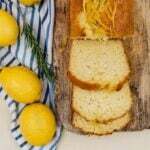 If you have been following our blog for some time, you already know that because you must have seen several recipes based on lemon on the blog such as Glazed Lemon Zucchini Bread, Creamy Lemon Ice Cream, Lemon Jam and Lemon Jam Thumbprint Cookies. If you haven’t seen these and want to learn more lemon recipes, just write lemon in the search box to see the full list. Another thing you might know about me is that I’m trying to include kefir in baking as much as I can. Super Moist Red Velvet Cupcakes and Persimmon Kefir Tart are just two of my favorites. So I made a change in the original recipe. I substituted kefir for milk this time and I’m glad I did so. Kefir really changed things a lot. The bread turned out even more luscious and I had to change its name from classic lemon bread to Kefir Lemon Bread. The sharp flavor of kefir makes the lemony flavor more noticeable. If you don’t have kefir on hand, you can use regular plain yogurt or Greek yogurt but you might need to change the amount of it depending on their thickness. Kefir is not as thick as these two, so you will need to reach the same consistency by mixing yogurt with some water. The quick lemon jam topping is optional but it’s just another thing that makes this bread so good. For one thing, it gives a nice look on the bread. Plus, the lemon zest tastes like candy as it waits. Below is the original post written about 7 years ago. It has been a long time since I wrote my last post. I have been working till late hours, so I can not even write back to your so much valuable comments. Hope you understand me. I didn’t even notice that Give Recipe left a year behind until my hubby reminded me 4 days ago. He asked, “Aren’t you thinking of making something special to celebrate our child’s birthday?” You see, Give Recipe is like our child as he says I spend a big part of my time either dealing with it or thinking about it. I know I’ve neglected it since the school started (working as a teacher) but it’s always in my mind. However, I’m grateful to hubby for reminding me of my first blogoversary. It was on a weekday and unfortunately, I couldn’t make anything special, so I had to postpone it to this weekend. I was decisive on making something sweet as I think it’s not a real celebration if there is nothing sweet. I thought a lemon bread would be great to celebrate a blogoversary. And of course it wouldn’t be a real celebration without some guests, so we called a few friends and enjoyed this bread together with Turkish black tea. Finally, thanks a million to everyone for visiting Give Recipe and for helping me improve it with your comments, suggestions and questions. As a big fan of lemon, I don’t want to waste any part of it. Believe it or not, I eat lemons with their rinds, they are not different from any other fruit. Most of my friends find it weird, but I do love the bitterish taste of their rind. When preparing the cake batter, I thought it would be great to garnish it with some slices of lemon rind. On the other hand, I didn’t want that bitterness on my sweet bread, so although it wouldn’t be a problem for me, I must find a way to make its rind sweet (for my friends). I just followed the steps similar to my usual jams, just in small amounts. You can play with the amounts of sugar and water to have the consistency you like. So when you put the bread aside, you can prepare the lemon jam to make your cake have a ‘lemon’ cake look. Slice the lemon rind thinly, put them in a small pan, add sugar and water in it. Heat it over medium stirring occasionally until the sugar melts and continue simmering over the lowest heat until it thickens. Then you can take it from heat and top your bread with it. A super moist and lemony bread with a quick lemon jam on the top. Preheat oven at 350F. Butter a loaf pan and line it with parchment paper. Cream eggs and sugar well. Add in kefir, oil, lemon zest and lemon juice. Sift the flour into a bowl. Add it with baking powder into the wet mixture and mix just until combined. Pour the batter in the prepared pan. Bake about 50 minutes or until a toothpick inserted comes out clean. Let it cool before removing from the pan and slice. Serve with extra lemon zest or lemon jam and rosemary. Slice the lemon zest thinly(mostly without the white parts), put them in a small pan, add sugar and water in it. Heat it over medium heat stirring occasionaly until the sugar melts. Let it simmer until thickens. Then you can take it from heat and garnish your cake. Followed the recipe exact except cut back sugar by 2 Tbsps and used coconut oil/butter. Cake seemed very heavy and a little rubbery. Could it be that I didn’t beat the eggs enough? Will try all butter next time. Should I do 1/3 cup instead of full amount of oil? Thanks. Love the kefir idea!! Hi Heidi! I’m sorry it didn’t come out well. It’s probably because of the eggs. Beating eggs well is what makes cakes fluffy. You can definitely try it with butter. I guess 1/3 cup would work fine. Hope you end up with a better result next time. Thank you for sharing this recipe! I was looking for the recipe for using an extra milk kefir, and I just baked this bread today and it was so good with milk/coffee! I just wanted to be precise with those measurements. We don’t have butter in sticks here, but I searched for a converter and found that 1 stick of butter is 113gram, so you will use less than a stick. Use about 3/4 cup sugar depending on your taste and 1 and 1/2 cup flour. Hope these help. This looks delicious and I love all things lemon. Wow, if I had the time and a fresh lemon I would make that right now. I would turn off the computer and make it now. Thanks Zerrin for another great recipe. I need to come by more than just every 3-4 months. What a lovely cake, looks so delicious. What a perfect summer cake! I adore lemon, and I think that this would be a refreshing way to end a dinner party. Thanks for sharing! Lemon is one of my wife’s favorite flavors. She loves lemon cookies but cake even more. This looks great. This looks soooo good. 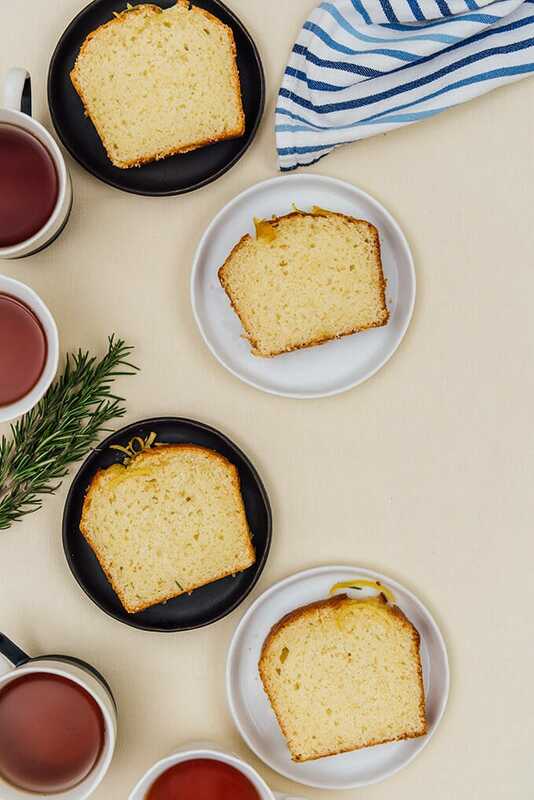 I have to say that lemon cake is my favorite at tea time. I have lemons right outside on my tree, so I might try to make a vegan version of this. Thanks for reminding me of something I love and haven’t had for a long time! Happy Blogoversary, Zerrincim! Wishing you many more years of blogging and sharing your wonderful recipes with us! Your lemon cake looks and sounds good. In the past I never liked lemon cakes or pies but recently I have developed such a fondness for them. Lemony desserts are great now:) Thanks for the recipe. Happy blogoversary! What a delightful lemon cake to celebrate the occasion! It’s a lovely lemon cake, and the zest on top looks fantastic! Happy first anniversary of your blog! Wishing you many more anniversaries with lots more great food.